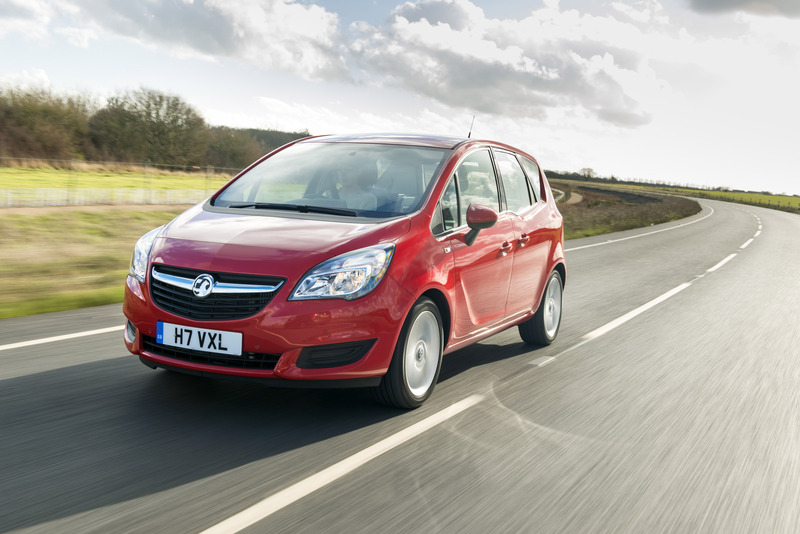 This model built on the success of the first generation Meriva and like most Vauxhalls it's now a common sight on British roads, with nearly 50,000 sold in the UK since launch. The Meriva's exterior is made even more refined thanks to a new grille and newly-designed headlamps with an ‘eagle-eye' graphic. On upper trim levels there's higher chrome content, including chrome accents that frame the front fog lamps. There's also a new Emerald Green pearlescent paint colour which means customers now have a choice of eleven exterior colours and five different interior trims. 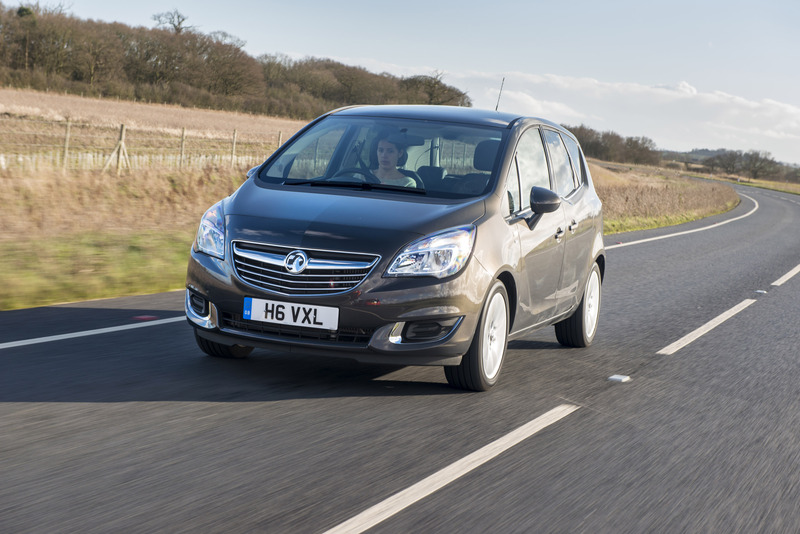 The new Meriva is available with a choice of seven powertrains, three petrol and four diesel, including Vauxhall's new 1.6-litre CDTi engine. In addition, all new Meriva benefits from substantially revised, low friction transmissions which offer better efficiency and much more precise and smooth shift operation. 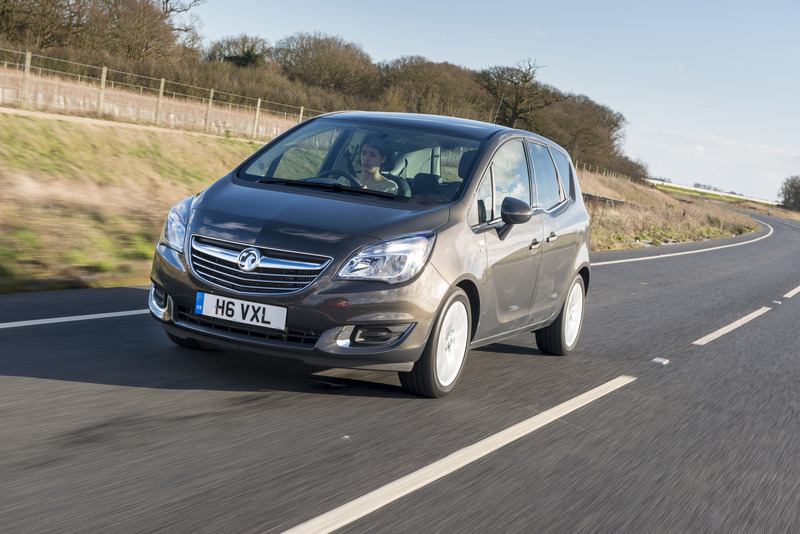 Fresh from its launch in the Zafira Tourer, Vauxhall's new ‘Whisper Diesel' 1.6 CDTi engine is now available in the Meriva. The Euro-6 compliant engine, which is already setting a high benchmark in the industry for efficiency and refinement, produces 136PS and 320Nm of torque at 2,000rpm, yet achieves a remarkable 64.2mpg combined and 116g/km of C02 emissions. 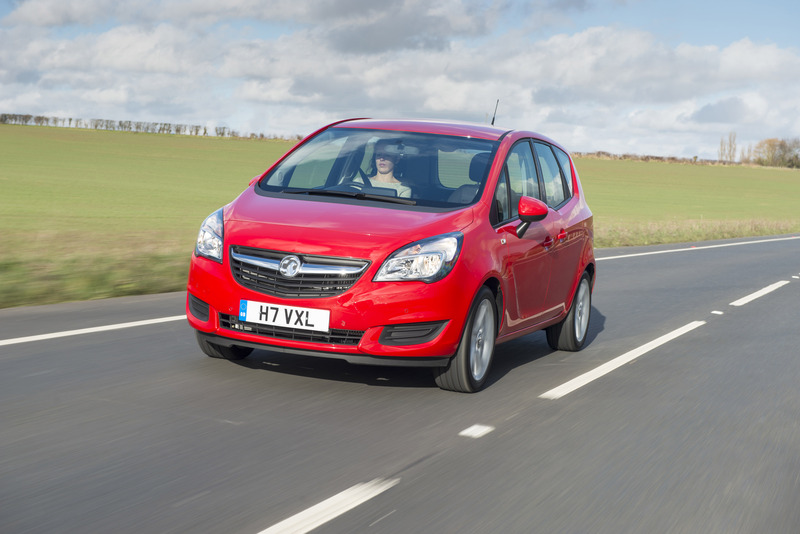 Additional fuel economy is achieved through Vauxhall's ecoFLEX technology and a Start/Stop system comprising a reinforced starter motor and high performance battery with intelligent controls and sensor. The nitrogen oxide reduction required by Euro 6 has been achieved through Lean NOx Trap (LNT). The system's special LNT catalyst stores the nitrogen oxide. When the storage capacity is used up, the engine management system automatically begins regeneration. The LNT system is entirely maintenance-free and does not require an additional tank. This state-of-the-art ‘Whisper Diesel' is simply one of the quietest engines in its class. Its refinement is due to its highly efficient combustion process and clever use of acoustic covers. A composite intake manifold (encapsulated in an acoustic padding and an external plastic shield), the plastic cam cover (fully decoupled from the engine) and the scissor gears in the timing drive system all contribute to exceptional engine refinement. And if that wasn't enough, this powertrain masterpiece was developed entirely within GM by a global team of world-class engineers. The Meriva's petrol engine range (1.4 100PS, 1.4T 120PS and 140PS) is now fully Euro-6 compliant. 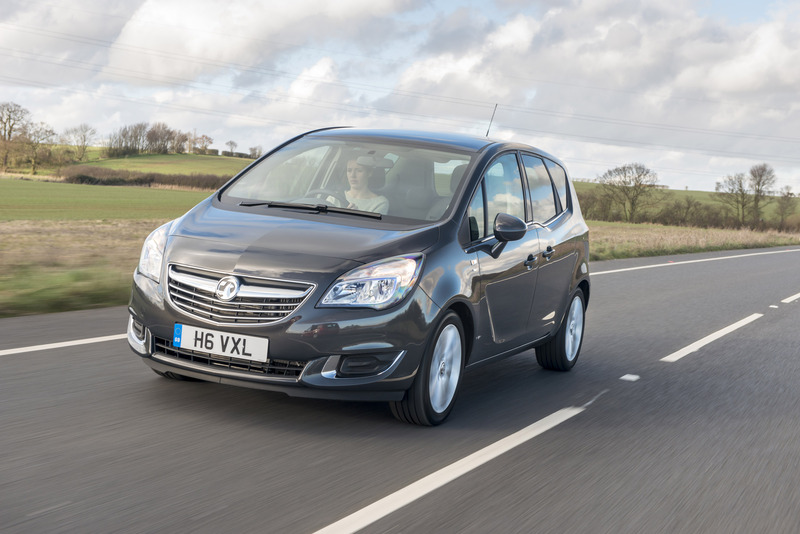 Transmissions in the new Meriva have also been improved thanks to Vauxhall/Opel's €50 million investment into the optimisation of its five- and six-speed gearboxes. Changes to their components and the gear-change mechanisms, as well as to their integration into the vehicle have ensured a substantial improvement in gearchange smoothness. The new low-friction manual units offer a new level of gear-change comfort in combination with all petrol and diesel engines. Shifting now requires minimal effort and is quicker and more precise. The 1.4 120PS engine can be equipped with a low friction six-speed automatic transmission with an ActiveSelect function, allowing sequential gear selection via the gear lever. Automatic transmission is also available with the 1.7 CDTi 110PS diesel engine. 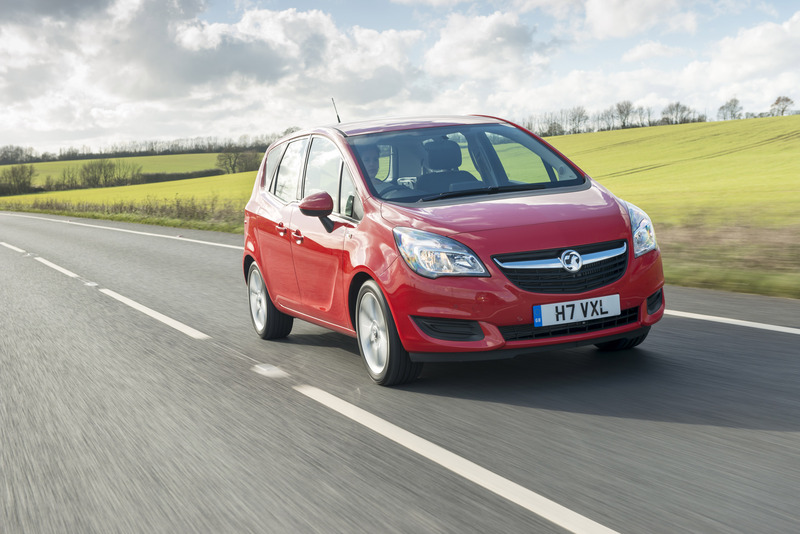 Vauxhall engineers changed every nut and bolt in the Meriva's suspension and steering when the previous model came to market, ensuring dynamic performance and refinement to match its visual appeal. 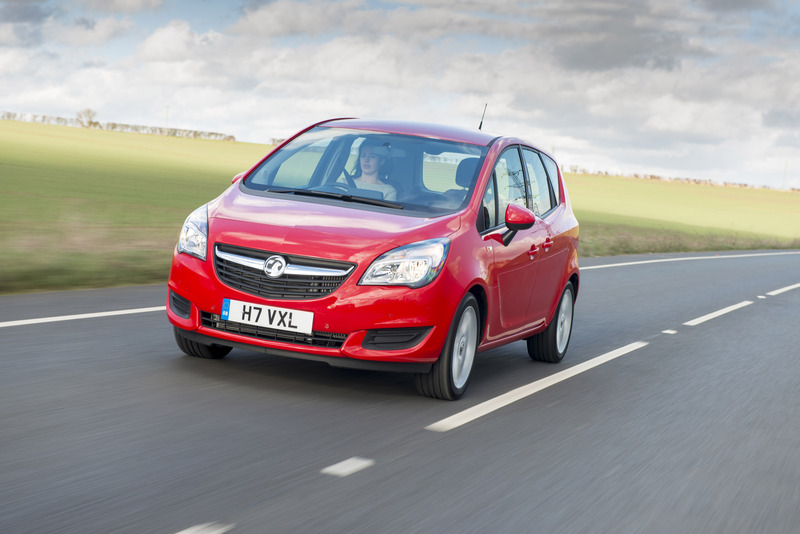 And so that the Meriva met the unique demands of many British drivers, Vauxhall engineers developed a bespoke UK steering programme for the Meriva. As a result, the car's electro-hydraulic power steering system is tuned to suit our unique road surfaces. Excellent ride and handling were key targets during development of the Mervia. At the front, the McPherson struts features have enlarged top mountings which separate the paths of the spring and damper loadings to improve the steering response and ride comfort. The springs are also designed to resist side loadings, which reduce friction in the movement of the damper. The lower control arms are attached to a hydro-formed, hollow section sub-frame which is bolted to the body via rubber mountings to further isolate the cabin from road vibrations giving the Meriva a quiet cabin. The control arms are fitted with hydraulic bushes which help to further reduce vibration in the steering. At the rear, a space-saving torsion beam axle is retained, while the thickness of the beam was increased by 0.6mm against the first generation Meriva to meet the needs of a new geometry. An Electro-Hydraulic Power Steering (EHPS) system is used. It is tuned for excellent driving feel with less unwanted vibration and kickback. 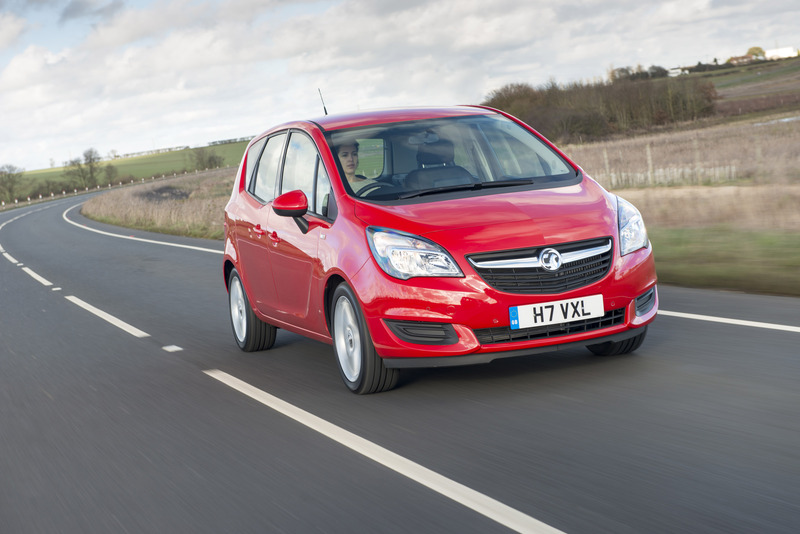 Vauxhall engineers specified a compact steering column which offers the driver reach and height adjustment. The range of settings, 20mm for reach and 25mm for height, matches the great adjustability of the driver's seat, contributing to the ergonomics of the car. The collapsible length of the column and top mounting allows generous leg space and room for protective knee padding. To liberate more interior space, all Merivas are fitted with an Electric Parking Brake (EPB) as standard. The actuator is at the base of the gearshift and is particularly easy to operate with just one finger, even when the vehicle is fully loaded on a steep gradient. When driving away, there is no need to even manually release the EPB. Electronic Stability Programme Plus (ESP) is standard across the range and tuned to function progressively, avoiding abrupt, early interventions. When ESP does intervene, it brakes the appropriate combination of wheels, and if necessary, modulates the electronic throttle too, helping the driver to regain control. Traction Control is included within the ESP system and, as a result, a traditional winter mode button for the automatic transmission is no longer required to drive the car smoothly in slippery conditions. Electronic Brake force Distribution (EBD), which ensures optimum braking force is applied at both axles simultaneously for maximum stability under heavy braking. Electronic Drag torque Control (EDC), which prevents the vehicle from becoming unstable due to the braking effect of the engine if the driver suddenly lifts off the accelerator or engages a gear that is too low. If the onset of slip is detected in the driven wheels, engine torque will be increased until the wheels are rotating at an appropriate rate. Straight Line Stability (SLS) and cornering brake control are activated if the car is braking while cornering or travelling straight ahead under split-friction road conditions. Brake pressure is individually varied between all four wheels in order to keep the car stable. Brake Assist System (BAS) helps the driver in emergency braking situations by ensuring greater deceleration than possible through the regular brake booster. Even unskilled drivers can achieve shorter braking distances. Hill Start Assist (HSA) minimises any downhill movement of the car when taking off on a slope if the Electric Park Brake (EPB) has not been engaged. Typically, HSA briefly maintains pressure at the rear brakes when the driver steps from the brake to the accelerator pedal. Available as a £1,200 option on SE models, the Meriva has a new generation Navi 950 with IntelliLink infotainment system enabling seamless smartphone integration with the vehicle. The large, high-definition, seven-inch colour monitor offers a new interface with IntelliLink graphics that make the system easier to read and operation faster and more fluid. The system features Bluetooth hand-free phone connectivity and audio streaming, and additional connectivity via USB. IntelliLink in the Meriva has a standard CD player, while DAB+ – Digital Audio Broadcast – is offered as an option that raises the bar in terms of range of radio stations reached, reliable reception and sound quality. Navigation is an inherent part of the system, through both the Navi 650 and the Navi 950 IntelliLink. It is extremely precise and fast in calculating itineraries and zooming in and out, and destinations can be entered easily via voice recognition using rapid ‘one shot entry' (request navigation and just speak out the address in a single phrase) as is possible in the Insignia's system. Comprehensive map data is available of the western and eastern European region and map updates can be downloaded via USB. In addition to regular voice control over its own functionality, the IntelliLink system in the new Meriva also supports and integrates smartphones' own voice control – like Siri for the Apple iOS devices (iPhone, iPod touch, iPad, e.g.) for instance. This allows drivers to keep their concentration on the road while getting short messages read, such as answers to several kinds of questions or requests. While Vauxhall is the first mainstream manufacturer in recent years to adopt rear-hinged back doors that open independently from those at the front, Vauxhall's heritage with this type of door is also significant, from both a design and production perspective. 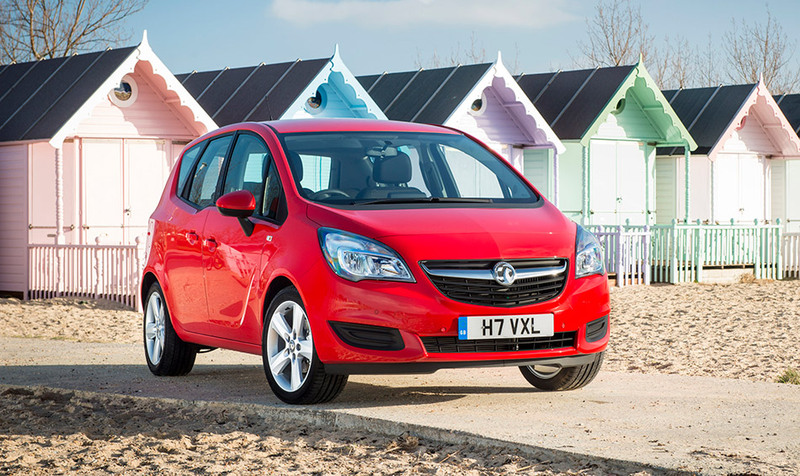 The Meriva joins landmark Vauxhall's from the pre-war years, like the iconic 1923 30-98 and 1934 Light Six saloon, each of which had back doors hinged from the rear for ease of access and exit. Many more Vauxhall models featured this arrangement up to the late 1930s, but with the advent of widespread unitary construction (which Vauxhall pioneered in Britain with the H-type Ten-Four model) front-hinged doors became the norm. However, Vauxhall remained a firm advocate of the rear-hinged door concept in the post-war years, and in 1970 its Luton-based design department, headed by talented stylist, Wayne Cherry, created the ground breaking SRV concept car. Even by today's standards, the SRV has futuristic design overtones, but importantly it featured back doors that not only opened upwards, but that were hinged from the rear to allow passengers easier access from the snug, low-slung back seats. Forty years later and Vauxhall productionised the rear-hinged door system with the Meriva, although the FlexDoors' convenience and safety features moved the game on immeasurably. However, with the exception of Rolls-Royce's Phantom and Ghost models, the Vauxhall (and Opel in Europe) Meriva is still the only production car to have rear doors that open independently from those in the front, and along with Rolls, to have full type-approval for the system. Key FlexDoor benefits include easier entry and exit, enhanced ergonomics and improved rear seat access, especially when fixing child seats. With both the front and rear doors open, parents and children also share the same space, without a door between them. Getting in and out of the Meriva's rear cabin is, quite literally, more straightforward. Rather than having to step back, or to one side, as one would using a normal front-hinged door, the FlexDoor allows unimpeded forward access/egress to and from the cabin. 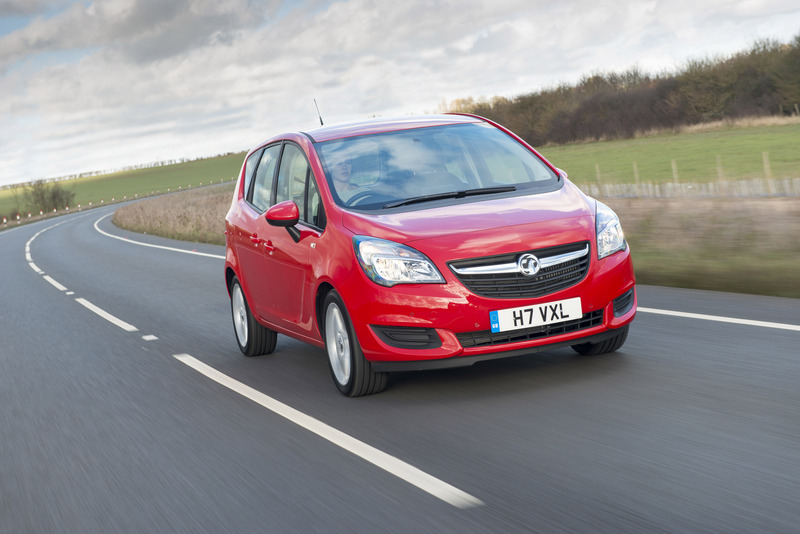 Vauxhall's engineers and designers responded to the needs of parents, children and older people when they developed the Meriva's FlexDoors. Unlike a conventional front-hinged door, FlexDoors provide access adjacent to the B-post, where there is the greatest room between roof and floor. The doors and handles have also been ergonomically engineered for ease of operation. For parents, this means they can access the rear seat area full on, standing in the space usually occupied by an open door. They can reach forward with babies and toddlers to easily fit front-facing carriers and child seats. Adult passengers can simply step forward when getting in or out of the rear seat without having to twist over a wheel-arch. Handy grab handles on the inside of the B-posts also makes exiting easier for all. Most front-hinged doors open to no more than 68 degrees, but the Meriva's FlexDoors open in four steps through 84 degrees, a benefit which extends to the front doors too. When both doors are open, the wardrobe door-like layout creates a natural parent-friendly zone for corralling children when they're near to the car. Other FlexDoor benefits include easier entry and exit in narrow parking spots and more convenient access to the rear doors for the driver or front passenger. It's easier, for example, to open a FlexDoor to hang up a jacket or pick up an item from the rear seat. All Meriva's are fitted with a complex safety system that prevents children opening the rear doors while the car is moving. At speeds over 2mph, the FlexDoors automatically lock and a green light in the door handle surround goes out, indicating that the door cannot be opened. If for any reason one of the doors has not been closed properly when the car starts to move, the driver is immediately informed by an audible and visual warning from the instrument panel. If the vehicle is in an accident, the FlexDoors unlock automatically. For added security, conventional child locks also feature. Inside and out, the Meriva raised the bar in the compact MPV segment with adaptable features like FlexSpace, FlexRail and Flex-Fix that are easy to use and offer families a high degree of versatility. The Meriva's innovative FlexSpace concept offers a range of cabin configurations for optimum versatility, without having to remove any seats. The cabin can easily be transformed between a five, four, three or two-seat layout to meet the needs of occupants and their luggage. Both outer rear seats can be moved forwards and backwards and also slide inwards to provide more shoulder-width and legroom in a spacious four-seat layout. The rear seatbacks can be fully lowered with one simplified movement using new handles that are easier to reach. This versatility is achieved without having to remove any head restraints or seats. With the rear seatbacks up, the Meriva's cargo area offers a load capacity of 397 litres, which increases to 916 litres with the seatbacks folded. Using available space up to the roof, an impressive 1496 litres maximum load capacity can be deployed. 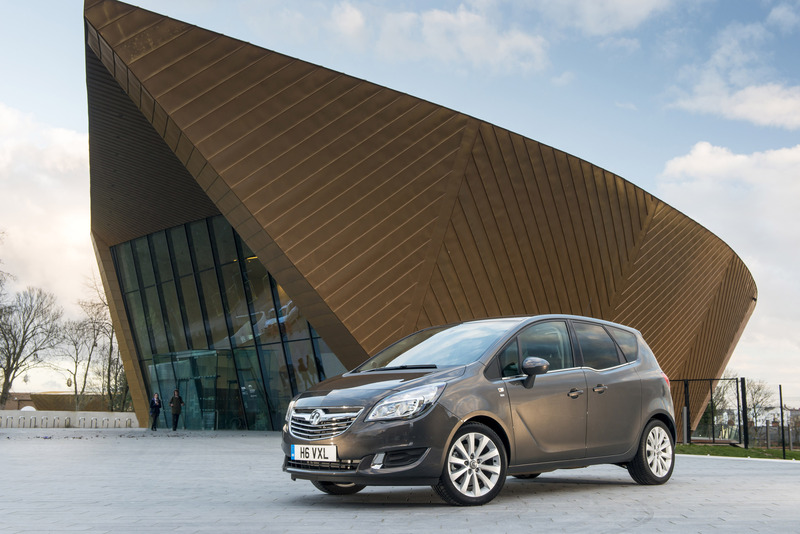 A new generation of front seats, based on those in the Insignia and new Astra, made their debut in the Meriva. Generously proportioned and supportive, with a class-leading range of adjustment, they offer a level of comfort typical of vehicles in a larger segment. Both seats slide backwards and forwards through 240 millimetres and the driver's seat can be raised or lowered by up to 65 millimetres, giving even taller drivers a comfortable driving position. For the children in the second row, the backs of the front seats on SE and Tech Line models are fitted with fold-down tables. Ergonomic Front Sport seats, with a driver's seat tilting function, powered lumbar adjustment, 4-way active front headrests and an extendable seat cushion are offered as an option on the Meriva range. Good seats are important for maintaining a healthy back and the driver's seat has received a much-coveted seal of approval from Action for Healthy Backs, an independent panel of German ergonomics experts and doctors. No other car in the Meriva's segment has earned this certification. In a family-orientated car, easy-to-clean upholstery is essential and here the Meriva leads the segment with Top Tec treatment for its light-coloured fabric. Top Tec uses nano-technology to help resist staining from drink spillages or other substances, such as melted chocolate, ketchup, and soft drinks. Permanent staining is minimised by simply dabbing off any mess with a damp cloth. The FlexRail system in the centre console allows storage to be organised to meet almost any need. The electronic parking brake has replaced the traditional handbrake and the gearshift has been moved forward, creating space for a clever new storage system. FlexRail is a modular, highly adaptable three-tier storage system. Two longitudinal rails, elegantly crafted in polished aluminum, have tracks on their inner face. The top track carries a flip-top, armrest/storage module big enough to carry CDs, while the lower track carries a storage tray with a cupholder. For convenience, both units slide to any position along the tracks and the armrest module can overlap the tray. Either or both can be easily removed as required using a simple push button. Below the FlexRail, a fixed, floor-level tray has twin cup holders and two recesses big enough for PDAs, plus Aux-in connection, USB port, and 12-volt sockets. Everything is together, within easy reach, and on the Exclusiv and SE, ambient light is provided between the rails for convenient use at night. The floor tray is fitted as standard on all Merivas, while Exclusiv models get the FlexRail and additional tray, and SE models add the sliding storage box and armrest. 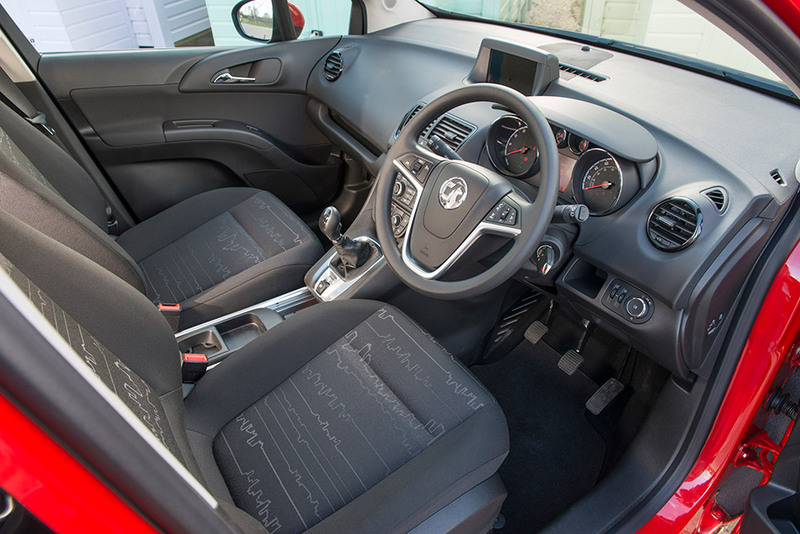 Extensive market research has helped Vauxhall's engineers and designers to create a cabin with a raft of dedicated storage areas for commonly used items. For example, a storage box under the driver's seat (SE and Tech Line models) is perfect for storing everyday items out of sight. There are dedicated spots for drink bottles, sunglasses, tissues and MP3 players. Ample pockets in the rear help children keep the car tidy, too. The large glove box has a space-saving pocket for the owner's manual, as well as built-in coin- and pen-holders. A neat channel above the lid is designed to carry small odds and ends. There's also a mini glove box on the driver's side that's big enough to hold a wallet, a mobile phone and other items. The door pockets can hold 1.5-litre drink bottles up front and 1.0-litre sizes in the rear. A small clip on the lower A-pillar serves as a perfect ticket holder. In the boot area, the floor can be raised to bumper height for ease of loading and under-floor stowage. A useful shopping bag hook also provides a hold-open function for the floor. Additional storage compartments are in the sidewalls and the parcel shelf can be removed and stowed behind the rear seats. The popular Flex-Fix integrated rear bicycle carrier is now available for Meriva customers. It can carry up to two bicycles and slides out from behind the rear bumper. It is fully integrated and, when not in use, is virtually invisible behind the rear bumper fascia. 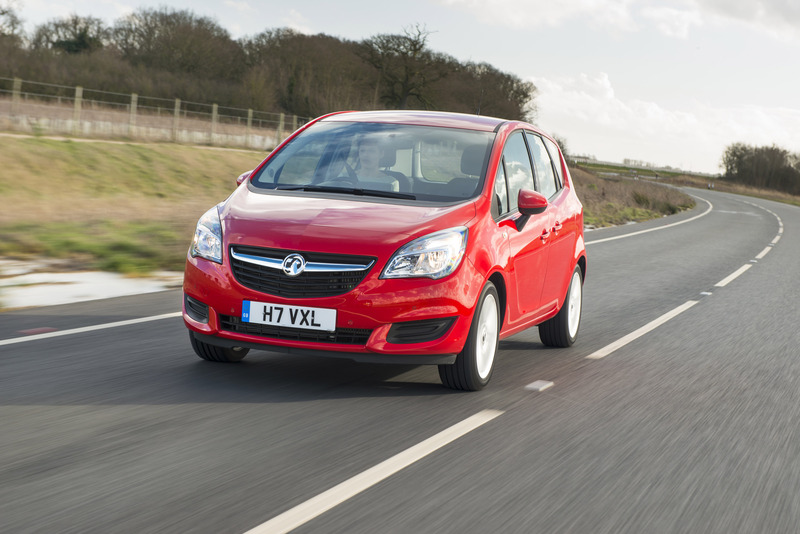 Like all Vauxhall Flex features, the carrier is easy to use and requires no special tools or additional components. Flex-Fix allows Meriva customers to carry a bike at any time, without having to plan in advance or drive around with a rack fitted when it's not required. 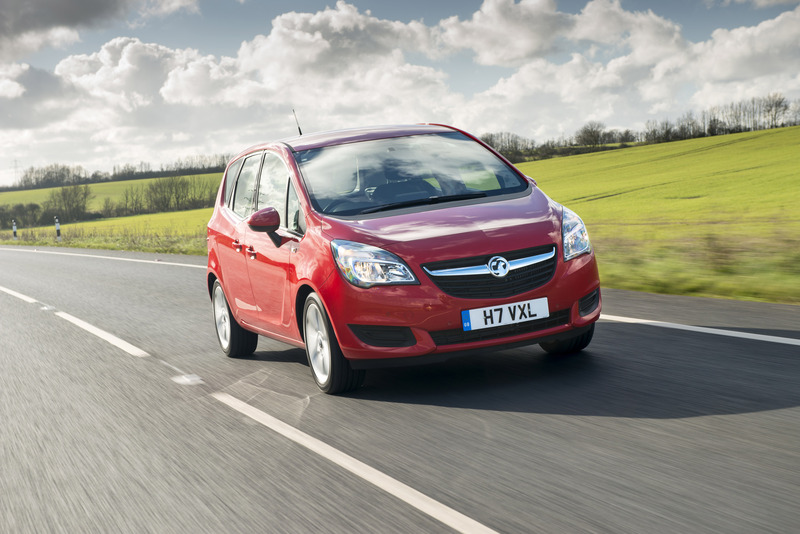 The Meriva offers the high-riding benefits of a monocab with excellent visibility front and rear. The low front fascia, narrow A-pillars and larger front quarter-lights all contribute to an exceptionally clear view for front seat occupants, while rear passengers benefit from the unique ‘wave' design in the belt line that increases the depth of the rear windows – a great boon for young children. 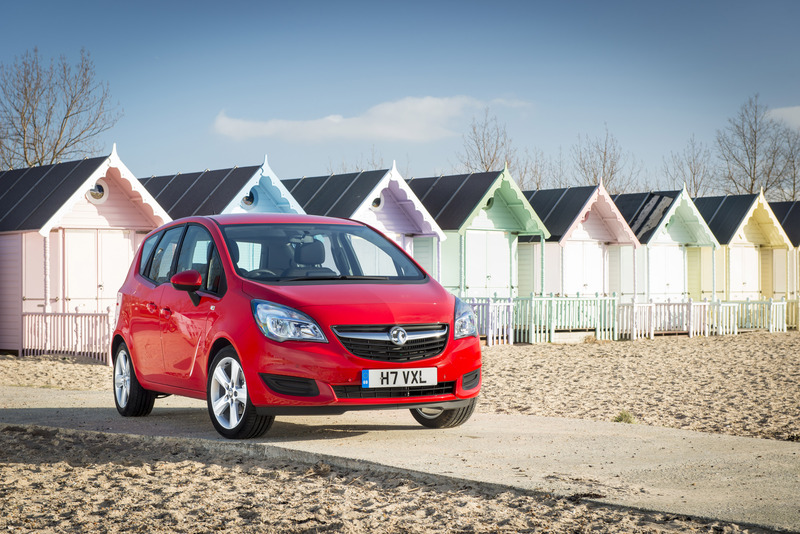 Also available on the Meriva is a full-length panoramic sunroof, which is standard on SE models. At almost two metres long, the roof comes with an electronic blind and is one of the largest of its kind offered in the compact MPV segment. 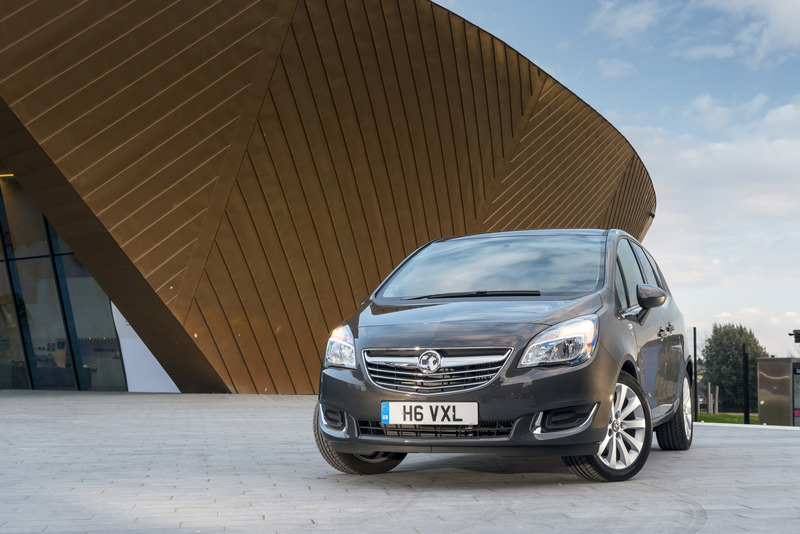 After its success in both the Insignia and Astra ranges, a version of Vauxhall's Adaptive Forward Lighting System, which includes Dynamic Curve and Static Cornering features, will be offered as an option in the Meriva range. To complete the Meriva's all-round ‘feel-good' sensation, a heated steering wheel function that warms hands within one minute regardless of the outside temperature is available together with multi-stage heated front seats. The heated steering wheel is a unique optional comfort feature in this class of car. No gloves are needed when driving, which in turn increases the safety of the driver.